Rolex Sea Dweller mens watches are reliable and precise. BeckerTime offers a fine collection of Sea Dweller pre owned watches sized 40mm with black dials and Oyster bands. We think you’ll agree that this watch is durable for any occasion. Also, you can experience the luxury of owning a genuine Rolex Sea Dweller watch, but at a pre-loved Sea Dweller price. Otherwise, we are confident that you will find a Rolex timepiece that fits your style.  In addition, BeckerTime offers a 30-day money-back guarantee, as well as a Lifetime TradeUp Guarantee on qualified items. So, please contact us if we can help you find your perfect watch. This year, the Rolex Sea Dweller celebrates its 50th birthday. While there have been six Sea Dweller models throughout its history, we are partial to the Sea Dweller 16600. Read on to find out why the Rolex Ref. 16600 is our favorite. Launched in 1988, the Sea Dweller 16600 was in production until 2008. The beauty of this particular Sea Dweller is that it offers modern practicality wrapped up in a classic style. Considering the more contemporary Sea Dweller watches—the ref. 116600 and the ref. 126600—the look of the Rolex Sea Dweller mens 16600 model is more classic than current. First, there’s the aluminum bezel instead of the ceramic one. Also, the black dial sports smaller lume plots and center hands than the “Maxi dials” of future Sea Dweller references. And, unlike the most recent ref. 126600 model, the size of the Sea Dweller ref. 16600 is 40mm, and there’s no Cyclops magnification lens above the date. Although its look may be more traditional than trendy, the Sea Dweller 16600 still includes modern-day practicality. In fact, the ref. 16600 was the very first Rolex to include solid end links (SEL) for a more robust Oyster bracelet. 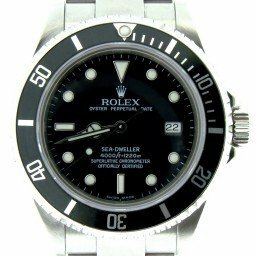 Moreover, the famous Caliber 3135 beating within is the same automatic in-house Rolex movement powering more modern Sea Dweller watches, as well as other Rolex timepieces. With a 20-year production run, there are a few different Sea Dweller ref. 16600 variations to choose from. For instance, early models of the Sea Dweller ref. 16600 have tritium for luminescence on the dial—indicated by the “SWISS-T < 25” label—while later models glow in the dark thanks to SuperLumiNova. Furthermore, initial Sea Dweller ref. 16600 watches still had lug holes. These are ideal for wearers who like to change up the straps on their Sea Dweller dive watches often. On the other hand, subsequent ref. 16600 models did not include lug holes, which is a great choice for those who like a cleaner design. Of course, with two-decades of existence, there’s a wide choice of watch condition, from the heavily worn to the lightly used. Older tritium versions of the Sea Dweller ref. 16600 may even have some coveted patina on the dial for some vintage appeal. One look at the secondary market and you’ll notice that the Sea Dweller 16600 is the most affordable model amongst SD watches. Depending on year, condition, and availability of papers and packaging, typical prices range from $5,500 to $8,000, give or take a few hundred dollars. This is a great price indeed, especially compared to the new Sea Dweller ref. 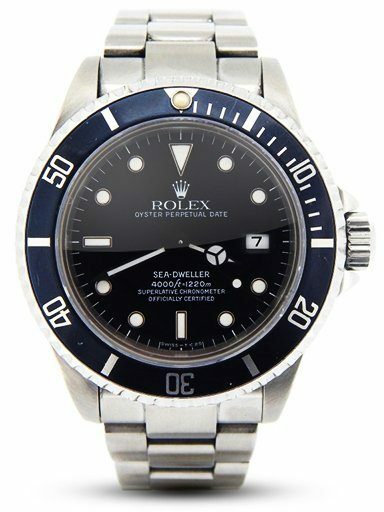 126600 (over $11,000), or the Sea Dweller ref. 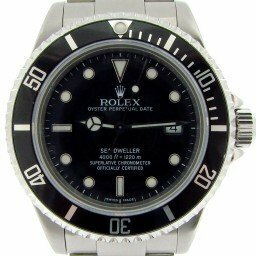 116600 (over $10,000), or the Sea Dweller ref. 16660 (over $7,000) or the very expensive vintage Sea Dweller ref. 1665 models. Given the Sea Dweller ref. 16600’s alluring style, modern practicality, availability, and value-driven price point, it shouldn’t come as a surprise that it’s our top choice for a Rolex Sea Dweller watch. 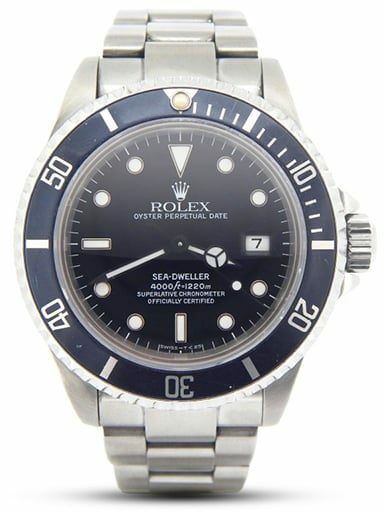 Visit us at BeckerTime.com to view our classic selection of Rolex Sea Dweller models…and more!